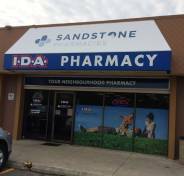 As a long time customer of the Bonaventure Pharmacy I wanted to comment on the excellent service Geoff Larose extends to his clients. He is the only pharmacist I know who patiently answers all questions and knowledgeably explain the “workings” of every prescription. If one happens to phone when he’s busy he calls back as soon as possible and willingly deals with one’s concerns. When required, he cheerfully undertakes additional research so that no one in his care is ever troubled by unanswered questions. When the customer happens to be a mature teen-ager of 87 this personalized approach means a great deal. Sandstone Pharmacies is lucky to have him on their staff. And we, his clientele are luckier than you can imagine to know that we are in his capable and caring hands. I am a senior residing at Spruce Lodge and I met Kristina, my Certified Geriatric Pharmacist from Sandstone Pharmacies about 7 months ago. Kristina took the time to get to know me and the prescription medications that I require. She was able to help wean me off of Zopiclone entirely and Kristina also was able to provide me with an alternative medication which resulted in improved management of my COPD. It is evident to me that Kristina is interested in my well-being first and foremost. I am grateful for her conscientious care and I trust her completely. They say it takes a village to raise a child, well I believe it takes a village to keep a family healthy. Between my pharmacist, Trish, her wonderful staff and my doctor, I know that I have the best village possible to keep me and my family healthy and safe. Trish is always available to give honest feedback about types of drugs, reactions, etc. She is always aware of the new research released and will relay that information in way that you can understand. Recently my son was diagnosed with ADHD. Going through the gambit of all the possible drugs to treat this disorder was confusing and overwhelming. I’ve heard of horror stories about how families went through years of trying one drug, then another to find the right drug and dosage. A discussion with Trish helped calm me about the drug choices available. Trish, knowing my family, suggested a specific drug that she thought would work well. She nailed it right from the word go! I can’t even begin to thank her enough! Trish gave my family more time enjoying one another and less time dealing with a disorder that can wreak havoc in family dynamics. I count on Trish for her expertise, caring nature, wonderful sense of humour, professionalism and sincerity to provide me and my family the best health care possible. 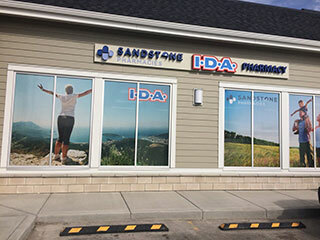 Sandstone Pharmacies provides access to Pharmacy services in Calgary, Health & Wellness services and consumer goods to various regions of Alberta, Canada. 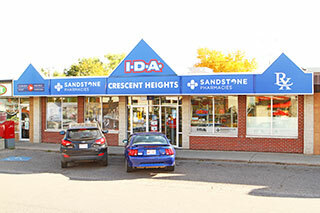 Currently it comprises of 19 high quality drug stores with excellent service conveniently located near you. Whatever your needs, you can depend on our knowledgeable health care staff to provide the highest quality levels of service and advice.